You can access our Themes collection by clicking on the Pick a Theme link in the middle of your homepage. 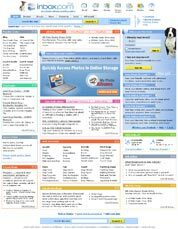 Here you can set a theme permanently, or you can just visit your homepage on custom domains such as dogs.inbox.com or uk.inbox.com and enjoy the theme temporarily. This way you can easily change your homepage theme anytime you want.